So, How Many People Actually Buy Stuff Over XBLA Or The PSN? Digital delivery of games and gaming content is the inevitable future. But how prevalent is it in the present? The NPD Group estimate that, as it stands, digital downloads on a console are doing...OK. The retail tracking firm reckon that, of all Xbox Live "Gold" subscribers, 18% of them "regularly download from Xbox Live Arcade". 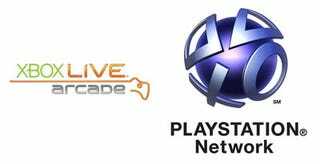 When it comes to the PlayStation Network, things aren't quite as big, as only an estimated 10% of account holders "regularly buy digitally from Sony's PlayStation Network". It's important to note that this survey isn't counting somebody who bought a single copy of Street Fighter II over XBLA and left it at that. It's tracking those who buy, and buy often.